MyDlink enabled wireless N network camera is a IP camera which comes with all features and provide your home and office surveillance for any where you need just a internet enabled devices. MyDlink enabled wireless N network camera installation is very easy you just open the box and connect the cables with your Mydlink camera and other to your device from which you want to access it.Now run the short installation wizard and setup is complete.Now open https://me.mydlink.com/entrance and choose your device and view your camera no more configuration will be need like configure router or ports etc. 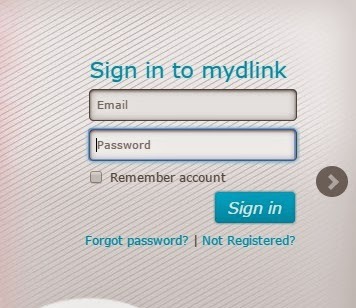 Anywhere access: mydlink makes it easy. Anywhere access: Home monitoring goes mobile. Record video and watch it anytime: D-ViewCam Surveillance Software.